Product prices and availability are accurate as of 2019-04-17 21:26:59 EDT and are subject to change. Any price and availability information displayed on http://www.amazon.com/ at the time of purchase will apply to the purchase of this product. 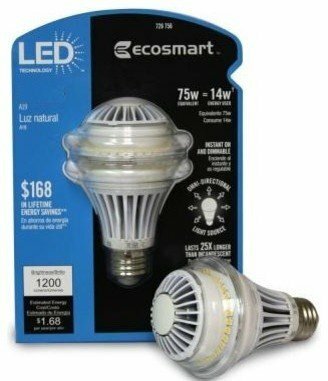 The EcoSmart A19 14 Watt (75W) LED Light Bulb can be used to replace an A19 or 75 Watt bulb. 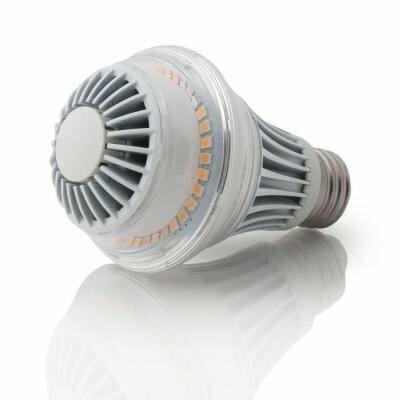 The Daylight LED light has an output of 1200 lumens and can last up to 25,000 hours for extended use, saving you up to $168 per bulb over the course of the bulb's life. This light can be dimmed for convenient light customization and helps conserve energy over the life of the bulb.